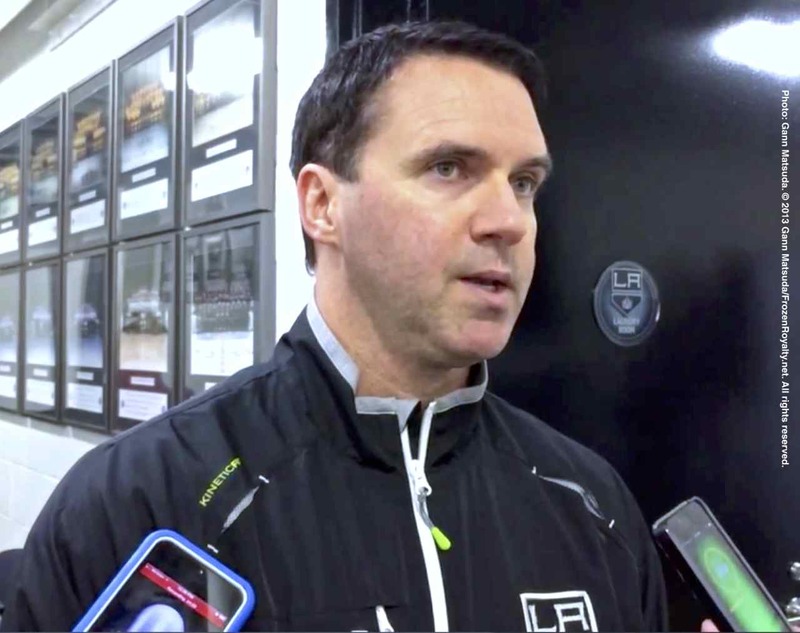 EL SEGUNDO, CA — One can easily point to better scouting resulting in improved outcomes on draft day as a significant reason that, for the first time in the history of the franchise, goaltending is a strength throughout the Los Angeles Kings’ system. That said, it is no coincidence that once Bill Ranford took over as goaltending coach on July 10, 2006, the Kings, who were once the laughingstock of the National Hockey League when it came to developing goalies, are now developing solid goaltenders who could keep the Kings loaded in goal for the foreseeable future. One look at Ranford’s credentials speaks volumes about the reasons for his success, compared to that of his predecessors, Andy Nowicki and Don Edwards. Edwards, served as the Kings assistant coach (he was responsible for the goaltenders), for four seasons, from 1995-96 to 1999-2000. He played ten seasons in the NHL, with Buffalo, Calgary and Toronto, and won the Vezina Trophy as the league’s best netminder in 1979-80, but never won the Stanley Cup. Nowicki, who coached Kings goalies for four seasons from 2001-02 to 2005-06, never played in the NHL. In stark contrast, Ranford played 16 seasons in the NHL, winning the Stanley Cup with the Edmonton Oilers in 1988 and again in 1990. That season, he was also named as the winner of the Conn Smythe Trophy as the Most Valuable Player in the playoffs. Although what a player does on the ice is not always a major factor in what they might bring to coaching later on, Ranford’s experience, especially being a two-time Stanley Cup Champion (as a player), has been a big part of the turnaround in goaltending throughout the Kings’ system. Just don’t expect him to bask in the glory. What might surprise many is that, hard work and attention to detail, not the technical aspects of goaltending, are what Ranford is mostly focused on. Ranford stressed that molding goaltenders into his own image of what a goaltender should be is not the idea. Ranford indicated that talking with Los Angeles Dodgers pitching coach Rick Honeycutt validated his thinking. “I met with the pitching coach of the Dodgers this summer, and the thing he always talked about was starting from the bottom—just basic habits with their pitchers, and they don’t even look at technical,” he said.